Welcome back to the Downtown Fit Camp blog! In our last blog post, we talked about the mental game of working out. Working out is about pushing your body to its limits. However, it is also about breaking down the barriers in your mind as well. To get the load-down on the mental game of working out, read our last post. However, keep reading to learn how to keep working out and moving towards your goals when you’re tired of working out. If you’ve been working out for a while, we are sure that you know how easy it can be to want to quit when you aren’t seeing results or are simply tired. But don’t quit! 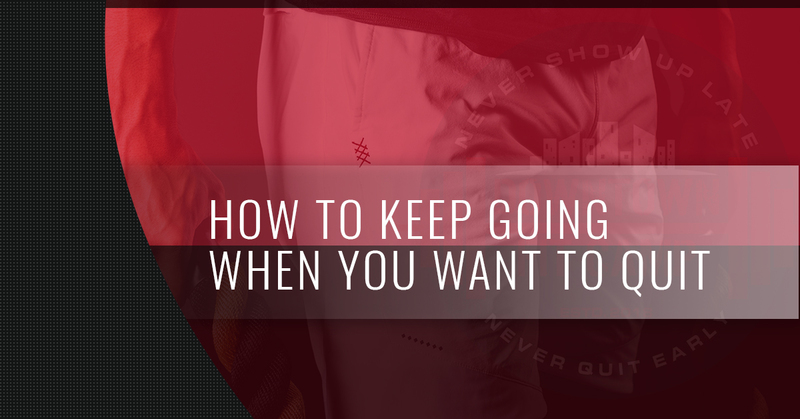 Today, we are going to give you some ways to keep pushing through the plateau. It’s okay to need a break. If you’ve been working out for a while and sticking to your fitness schedule, it may be time to give your body and mind a break. However, don’t give yourself an indefinite break! Set a limit for your break and then get back to it. When you’re taking a break consider, doing low impact workouts such as yoga or pilates that will still keep your body moving and can aid in recovery. We all have plateaued and if you’re experiencing that now, you may experience it again. However, if you are plateauing, it’s time to do a little investigating. You may need to adjust your nutrition, your workout routine, or take simply take a break. Find out what might be keeping you from progressing, by trial and error, and don’t give up! Resetting your goal can help you get past a workout slump. Instead of focusing on a big, far off goal, make smaller milestones that you will hit along the way. You could also sign up for a race or fitness event that will test your fitness abilities to give you a purpose for your workouts. Figure out what would best motivate you and use to shape your new goal. If you’ve been doing the same workout, you may be plateauing and frankly, you’re probably bored. To mix it up, consider changing up your schedule or trying a new sport or workout routine. Changing up your workout will not only help you break the plateau and keep you from getting bored, but it will also allow you to work your muscles in a different way which will make you a stronger, well-rounded athlete. Yes, we just gave you permission to buy more clothes. Sometimes having a new workout outfit is enough to make our fitness exciting once again.